Change the flavour of the sauce by using dill, chives, coriander (cilantro), basil, or capers. 1 Put cashews in a small blender with tahini, garlic, the juice squeezed from the ginger, a few pinches of salt, lemon zest and herbs and blend to a coarse purée. Add as much water as necessary to thin the sauce and to blend it to a texture so don’t make it totally smooth). 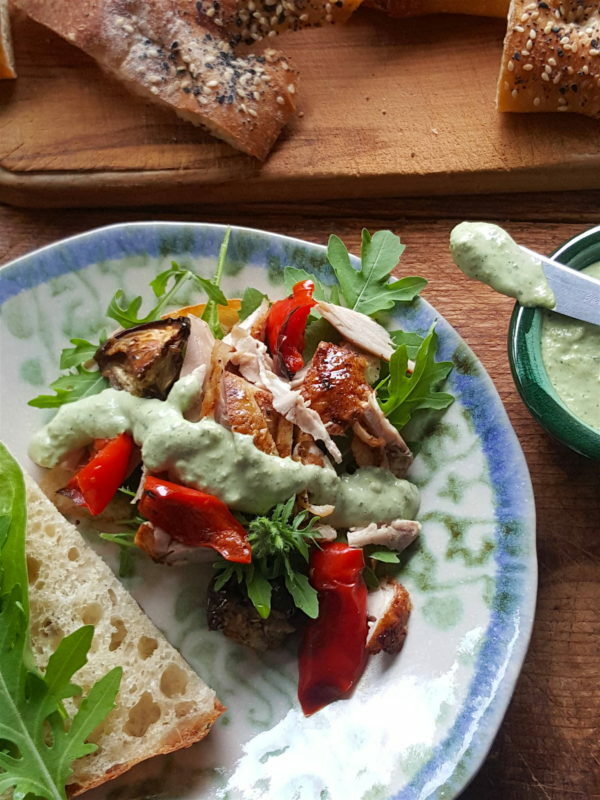 2 Slice bread and stack with salad leaves, sliced chicken and roasted vegetables. Sprinkle with a little salt and grind over pepper to taste. Drizzle with a little extra virgin olive oil if liked, and add a few edible flower petals if you have them. 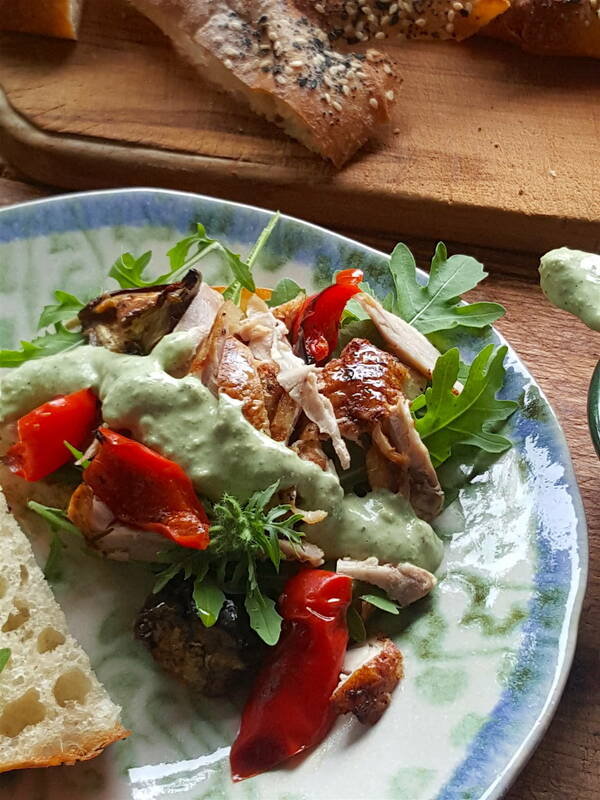 Finally, drizzle with green cashew sauce. Devour!